In 2017, software application development was outsourced by 64 percent of respondents. Mobile application development is the most popular type of offshore IT outsourcing. Whitelane research showed that 89% of respondents are satisfied with their services. Moreover, KPMG research identifies that remote app development is a good choice when the goal is decreasing expenses without loss of quality. The average cost of developing an app is up to $450,000, with almost half of this expense going to implementing the needed features and infrastructure. 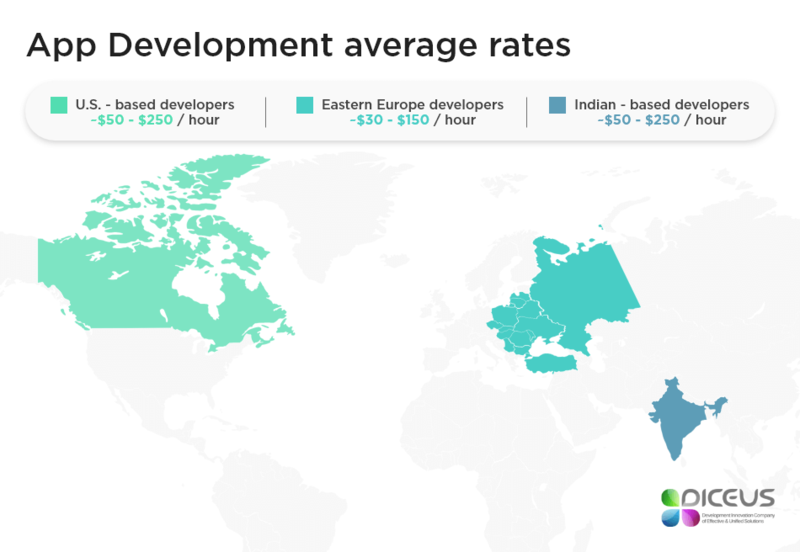 Outsourcing helps to decrease the entire cost of app development to $10,000-80,000. IT outsourcing company has many advantages to bring to the table but some partners can deliver risks as well. Keep reading to know how to protect your organization and choose the right company. Digital transformation and data revolution have influenced the business world. Let’s explore the latest trends in outsourcing IT services. As we can see, it is a hot trend because each company wants to have an app that fits customers’ needs and expectations. Businesses switch their attention to the smartphones over desktop versions of IT products because clients want to get services on the go. But why remote IT outsourcing companies look so attractive to the global audience? It’s because they have needed experience, know design trends and pitfalls of development to ensure the best results. Moreover, such companies have a ready team and skilled professionals. It frees you up from exhausting hiring and onboarding process. Moreover, you receive accelerated time to market. You don’t need to slow down the process to train staff, provide guidance and capture new technology. IT outsourcing firms have ready solutions for you. Blockchain offers comfortable features in payment transaction with the ability to fast update it and align with the laws. For many companies, smart contracts are must-have that make developers skilled in that area very popular. Many businesses want to simplify their activity and not to work on the same issues all the time. Blockchain technology allows making it easier. For example, banks are working on developing their online currencies and even digital currency loan platforms. Japan has already applied such technologies in their everyday tasks and routine. As many IT companies capture new infrastructure choices and methodologies, most standalone IT providers were eliminated. Earlier, you needed to search the separate company for the app development, another one for secured cloud services, etc. Nowadays, because of ‘cloudification’ of business infrastructure and new approaches, everything is possible. Outsourcing IT companies may be one-stop shops for their customers through partnership agreements. So, when IT partner offers a full range of services, it enables both sides to broaden the scope of work. Moreover, it helps to speed up processes because your outsourcing firm knows already what and how you want, understands your audience and specification. A study by eePulse, Inc. and the University of Michigan Business School presents that most CEOs see the limitations of outsourced support. While 74 percent are eager to outsource, 94% of them outsource only 25% of services. According to the Everest Group, even popular IT outsourcing contracts have been cut at a rate of 20%. So, in order not to get caught with the wrong IT service provider, use these tips to take advantage of this cooperation. #1 Don’t look for the cheapest services. Yes, India and China offer the most inexpensive prices ever but it improves your chances to fail because of low-quality services. Moreover, less expensive employees demand further training and management. #2 Work on the security issues. First of all, don’t give remote offshore IT outsourcing team access to your company’s infrastructure. Secondly, pay attention to the privacy laws and government regulations. And thirdly, don’t store your sensitive data overseas. #3 Explore their portfolio and feedback. Their website and customer support service are your sources of information. If the company works well, you’ll see positive reviews on the website, their use cases, awards. Moreover, you have to identify their readability to receive the best results no matter what it takes. Skype call and the transparent agreement will help you to check their professionalism and find a good fit. #4 Manage time zone difference. Time zone can be a huge issue when you have an urgent issue, but IT outsourcing company is offline. Such delays will impact the project deadlines significantly. So, you need to use “follow the sun” model. The team starts to work on the client`s assignment when it is a night on the customer`s side and delivers the result the next day. Besides, you can hire employees that adapt to your timezone in order to fix issues asap. Without clear expectations and requirements, the project may fail. To successfully manage the work of web developers, ensure that you have written rules, goals and other details to reach the best outcomes. Such documentation needs to have these compulsory elements: introduction, the entire description, your requirements and project details, concerns. The last one is very important because it is good to know what aspects require special attention and are very vulnerable and fragile. You need to be more choosy in selecting IT outsourcing firms that may provide the needed quality of software solution. When it comes to IT services with big data integration, software development skills have to be supplemented with an understanding of market trends and demands. The main goals of such projects are increasing sales, PR, inventory management in order to refine performance. Keep in mind that your outsourced support needs to bring you a better idea of how to use big data for your business and help you to use it to achieve your goals. Let’s consider how to choose IT outsourcing companies. It is not surprising that many businesses are built around big data because of its high potential. In outsourcing services, big data analytics allows companies to use their data to find out new opportunities and align their business with the fast changes. Moreover, this is a good chance to reach a wide pool of skilled analysts and IT talents. Big data analytics needs to be created around your business goals and processes. With the relevant execution and infrastructure, it can help to improve all operations and customer engagement. In order to achieve great results, plan and design around analytics discussions about required steps before start cooperating. 2. Look for domain expertise. Nowadays, big data analytics may cover the needs of such industries: e-commerce, insurance, banking, digital media, logistics, healthcare, and retail. But you need to remember that the most important thing is applying this expertise to the specific business setting. One of the benefits of IT outsourcing is that their developers have a deep understanding and experience to create the domain. These skills and knowledge will increase the impact of the professionals’ insights and allow identifying IT outsourcing risks and opportunities. 3. Ensure analytics tools investment. Big data tools deliver a productive framework to dissect data, explore patterns and suggest analytical models. So, big data professionals may recognize and respond to the specific patterns and improve the performance of business operations through analytical models implementation. A one-time investment allows a business to reduce costs and boost ROI as soon as it possible. 4. Search robust tech skills. A solid analytical skill set can bring a lot to the table. The experts need to have the fundamental knowledge of mathematics and technical background to know various algorithms and models. For example, numerical and statistical analysis are key for any big data analysts. With this background, they may handle machine learning and neural networks. Moreover, having great experience in open source big data technologies involving Hadoop is valuable to deliver the needed insights to allow transforming data into action. 5. Pay attention to the security issues. Protection and privacy are very important while working with big data. So, you need to have good legal agreements between the remote big data analytics team and the company. Privacy needs to be your big priority and you should have a clear vision of how your partner will protect sensitive data. IT outsourcing services can strengthen your efforts or badly influence your business process. So, you need to know possible risks and how to eliminate them. Also, take into account current trends to plan your future cooperation. For example, you can take advantage of big data and blockchain technology. Everything that you need is identifying how your specific business can benefit from it and find right IT partner.